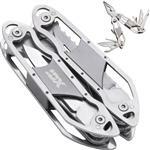 The Adventure Multi Tool and Knife with your promotional logo. Anodized aluminum finish. 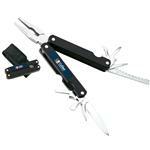 Includes small/large blade, can opener, bottle opener with slotted screwdriver, Philips screwdriver, pliers, wire cutters, scissors, fishing saw, file, and small slotted screwdriver. 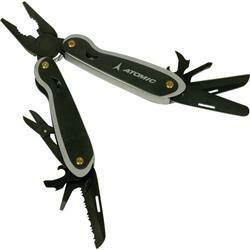 A great promotional Multi Tool with everything you need at a great price! Available Colors: Anodized Aluminum Finish. Typical Imprint Area(s): 3/8”h x 1 3/4”w. Anodized Aluminum, includes small/large knife blade, can opener, bottle opener with slotted screwdriver, Philips screwdriver, pliers, wire cutters, scissors, fishing saw, file, small slotted screwdrive. Promotional Multi Tool. 29 pounds per 40 pieces.